EMP: Elaborate Hoax Or Legitimate Threat? As a prepper and avid reader of post-apocalyptic fiction like One Second After, Alas Babylon, and Going Home, an EMP has long been on my mind as one of the most catastrophic threats we could face. I appreciate the attempt to help people prepare for all kinds of disasters, but I’m going to have to throw a conversational bomb into this room, so to speak. Not only is EMP a scam, nuclear weapons are probably a scam. Certainly they were at the time of abhorrent and immoral destruction of Hiroshima and Nagasaki, both cities victimized by fire bombing like all the other Japanese cities. I suppose protection against lightning might be useful, a system of lightning rods being an alternative. I wouldn’t lose sleep at night over this EMP nonsense, especially when there are real dangers we face every day. One purpose of the blast was to study the impact, if any, of Electromagnetic Pulse (EMP) effects. One incident is alleged to show such effects. Based on this incident, the government concluded that hostile powers could use EMPs to disable the electronic infrastructure of our country. Even after the Cold War ended, the government has continued to tout the threat posed by EMPs. So with this in mind, I spent the weekend doing some research on the topic. Some mainstream outlets concur that EMP is not a legitimate threat. 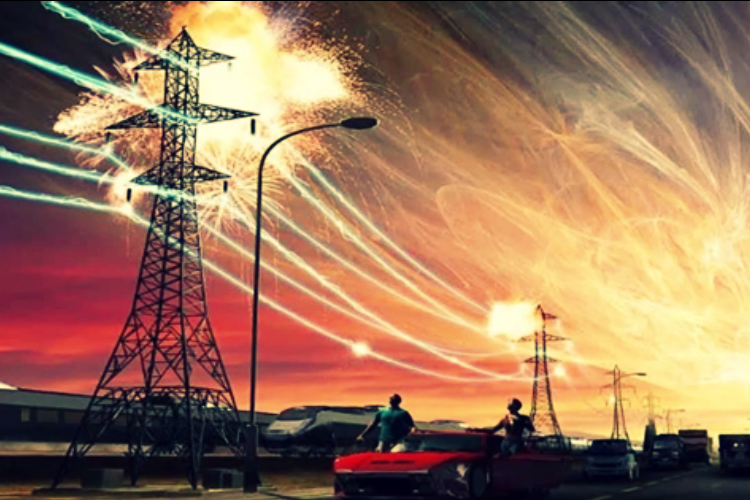 The threat of EMP’s has been debunked many times. But only in the back pages. Experts know that speaking against the fear narratives gets one blackballed from the defense gravy train and blacklisted by journalists. Only the threat mongers, the warmongers, get attention. “The EMP Threat“, editorial, 9 August 2008. “What a Single Nuclear Warhead Could Do“, Brian T. Kennedy, op-ed, 24 November 2008 — “Why the U.S. needs a space-based missile defense against an EMP attack.” Kennedy is president of the right-wing Claremont Institute. “How North Korea Could Cripple the U.S.“, R. James Woolsey & Peter Vincent Pry, op-ed, 21 May 2013 — “A single nuke exploded above America could cause a national blackout for months.” This op-ed accompanied Woolsey’s congressional testimony and new blitz. The WSJ ran a story about this the same day: “Former CIA Director Warns About Cyber Threats From North Korea“. Matthew Gault from War is Boring calls EMP an “overrated threat.” He interviewed cybersecurity expert Peter Singer, who had a LOT to say about his feeling that an EMP strike was unlikely. Here are some of the highlights from that interview. …Setting aside the geopolitical gymnastics that must occur to lead to that kind of exchange, if a foreign power detonated a 100 or more kiloton in an electromagnetic attack on America, then the world is at war and there’s little strategic benefit for the aggressor to not just go ahead and nuke a city. …However, we don’t know what the effects of an EMP might be. Studies conducted by both the Soviet Union and the United States during the Cold War produced dramatically different results every time. Patrick Disney of The Atlantic calls the hullabaloo a “campaign to terrify” us about the threat of an EMP and says it all goes back to the money trail of increased ballistic missile defenses. He believes the threat is unlikely to occur because of its unpredictable nature. It may be that a terrorist, after going through the trouble of acquiring a nuclear warhead and a missile capable of delivering it to America’s shores, would be a fool to employ the ultimate weapon in such a cockamamie fashion. The effects of an EMP are far from universal; according to one commissioned study, a best-case scenario would impact 70 percent of electronics, while a worst-case estimate could be as low as 5 percent. Far better from the terrorist’s perspective to deliver the bomb as it was intended, rather than hang his hopes on a series of unpredictable events and second- or third-order consequences. After all, a nuclear bomb need not be made any more devastating to serve a terrorist’s purposes. These are all valid arguments. If a country or a group of terrorists acquired the nuclear capability to set off an EMP above America, would they do that even if they weren’t positive it would work? The retaliation if it didn’t work – heck, even if it DID work – would be formidable and thorough. But all this doesn’t mean an EMP strike is impossible. While it is possible we may be getting played by the fearmongers, it still doesn’t mean that a disaster that would take out our grid is impossible. It doesn’t mean that people who are preparing with Faraday cages and long-term supplies are being silly. First of all, these preps will help us through a wide variety of disasters. The protected electronics would see us through a space weather event, and the other preps would help us through anything from World War 3 to a raging pandemic. I’ve mentioned my own plan to prep low-tech because it’s budget-friendly and it will get us through many different emergencies. There are all sorts of reasons the grid could be down for an extended period of time. Look no further than Puerto Rico to see that is a fact. And furthermore, regarding an EMP, we simply don’t know what it would do because it has never happened. I reached out to Dr. Arthur T. Bradley and asked him about his thoughts on whether an EMP was a legitimate threat or a gigantic hoax. Dr. Bradley is an electrical engineer at NASA and has done a lot of scholarly research on the possibilities of EMP and space weather events. He’s a prolific author and his book Disaster Preparedness for EMP Attacks and Solar Storms is a classic that belongs on every prepper’s bookshelf. (Find all of his books here.) Needless to say, Dr. Bradley is a pro and knows that of which he speaks. My own conclusion? Keep prepping. After reading all of this, it’s pretty clear that nobody knows for sure whether an EMP attack is likely or would work as an enemy might hope. There is compelling evidence from both sides of the argument that leave us up in the air. As a prepper who wants to be ready for everything, here’s my advice. An EMP that takes the grid down indefinitely is only one possibility among many others that could cause a long-term power outage. Selco has shared his story of living in a city that was blockaded and left without any utilities for an entire year. So obviously, this isn’t an “it can never happen” scenario. Being ready for a long-term power outage and shutdown of the supply line is just common sense. The twist of an EMP is that it would be longer-term and you can protect some of your devices from such an event. Faraday cages would also protect your electronics from a solar event. A Faraday cage is simple and inexpensive to make (learn how here) and the devices you would protect would be things that you would use anyway in certain types of emergencies, like communications devices, a backup laptop, and solar chargers. So, really, it isn’t costing you very much extra money to additionally make some preparations for the possibility that an EMP could occur. When I lived in the boondocks, I had no washing machine at my house. Having a backup way to do laundry helped me lengthen the time between my one-hour drive each way to the laundromat. Having solar chargers and lights have been nothing but helpful in power-outage situations. I yearn for solar panels on my roof to reduce my electric bill and decrease my dependence on public utilities. California has had rolling power outages for years to manage the extra demand for power in the heat of summer – wouldn’t off-grid supplies make that more comfortable? None of these preps are outrageous and most are very multipurpose. I think it’s very important to diversify your basic preps to see you through a wide variety of emergencies, and the potential (or lack thereof) of an EMP is no different.